Playwicki Farm Foundation - Times Publishing Newspapers, Inc. 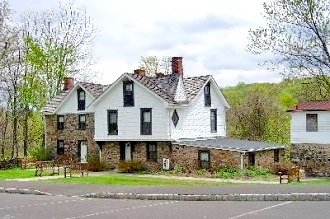 The farm was purchased from the estate of Elizabeth Snodgrass on May 18th, 1994. Included in the festivities will be a spring flea market on May 4th, a concert by the Hearts Club Band on May 10th, a salute to our nation’s military on Armed Forces Day, May 18th, a Tri-County Band patriotic concert on June 12th, and a unique Flag Day Food Truck Rally on June 14th. In addition, the celebration will feature a performance by KIRKO on August 9th, a Splash For Playwicki at the Dolphin Swim Club on September 8th, a remembrance of 9/11, “A Time To Remember,” on September 11th, a Fun Day showcasing crafts and an artisan fair on September 28th, and a Trunk Or Treat Halloween event staged by the Lower Southampton Police, area volunteer fire departments and EMT services on October 28th or 29th. The 25th anniversary events calendar additionally will include Handbag Bingo on November 8th and a Holiday Market Celebration on November 30th and December 7th. Additional special events and celebratory activities will be announced throughout the year. The Playwicki Farm Foundation was created to protect and promote Playwicki Farm as a natural, cultural and passive recreational resource. It features open space, old growth forest, wetlands, agricultural land, a wildlife habitat, defunct quarry plus a paved walking and jogging path and children’s play area, a refurbished barn for events and a commercial kitchen. The Playwicki Farm Foundation can be reached at 215-357-7300, extension 326, or by e-mailing playwicki.farm.foundation@gmail.com.